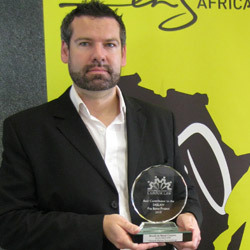 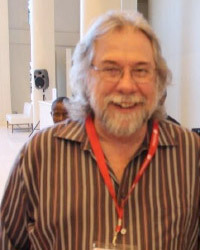 Greg Fourie has been involved in the Johannesburg advice office since inception. 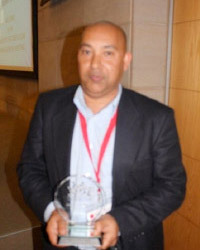 He has played a vital and integral role in establishing and defining the processes of the project. 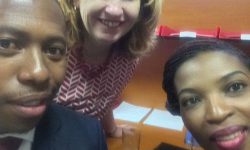 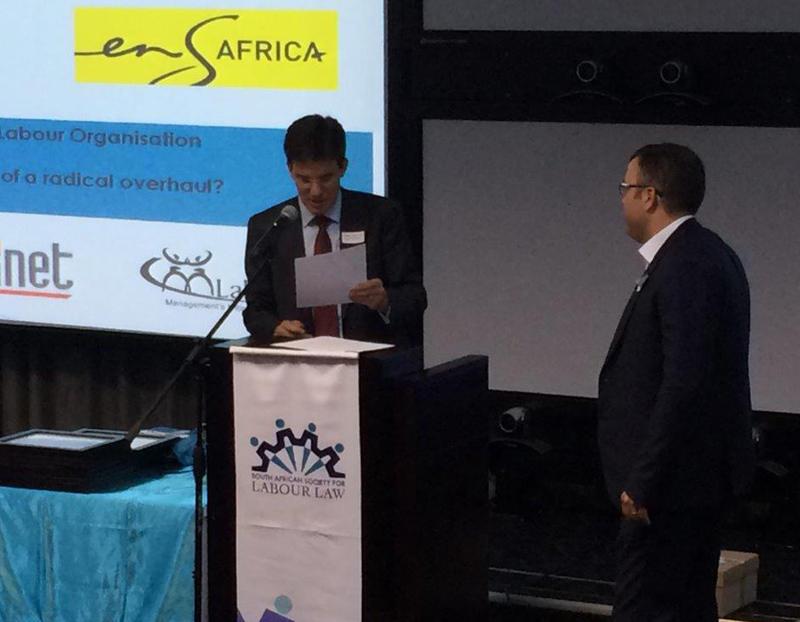 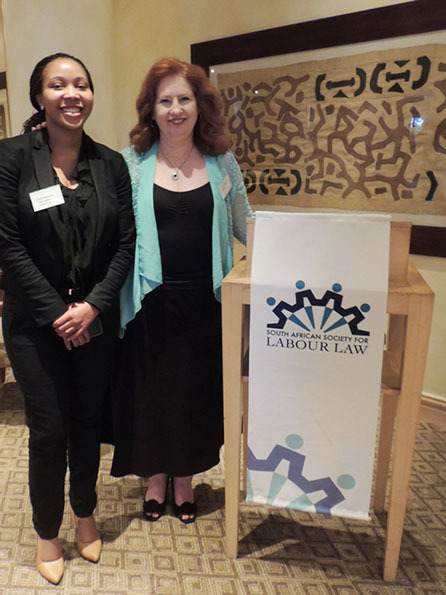 Recently Greg ran a pilot Amicus counsel project at the Johannesburg Labour court. 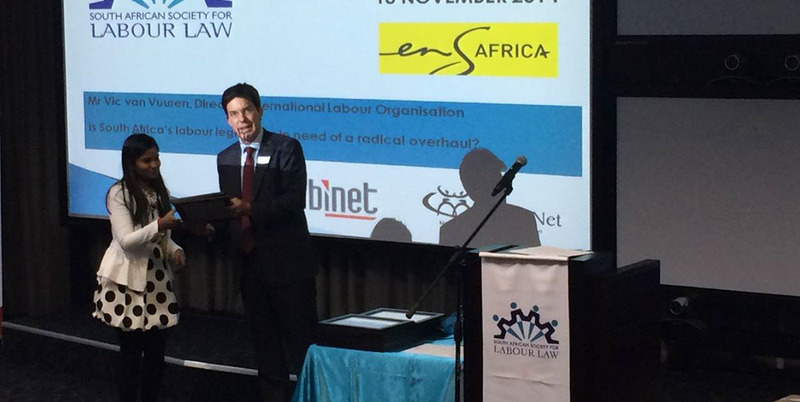 The chapter is extremely grateful to Greg for his dedication to the pro bono project and is pleased to honour him with this award. 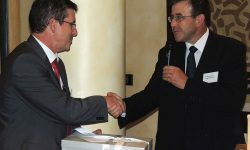 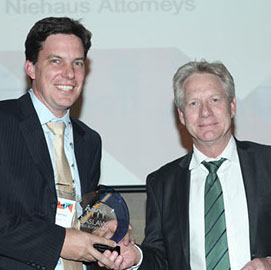 Chapter president, Ludwig Frahm Arp, received the award on Greg's behalf. 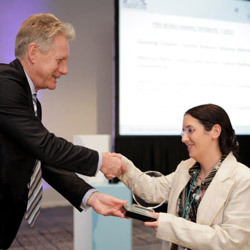 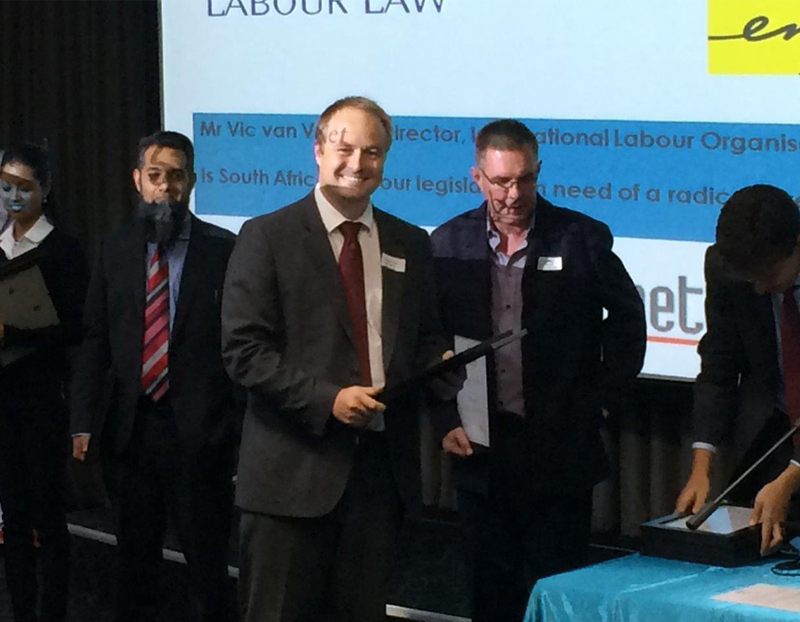 Rize Claasen has served the most in office pro-bono hours for the Western Cape Chapter this year. 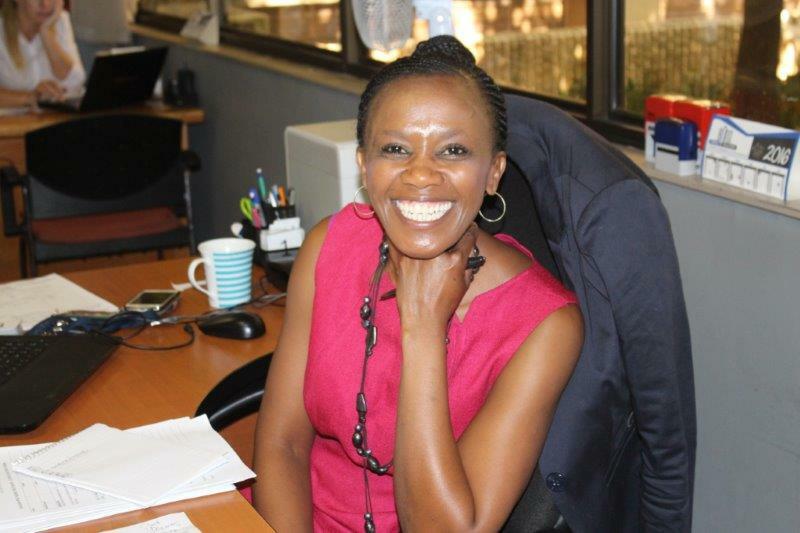 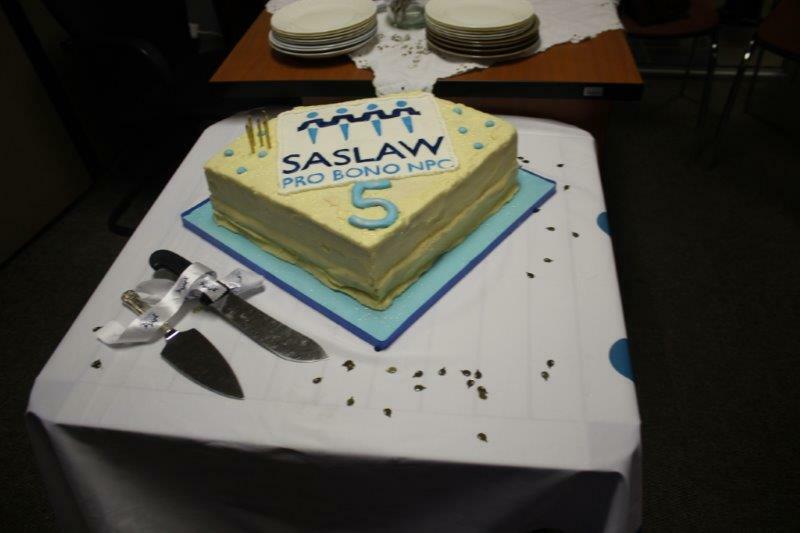 She has consulted to date 47 SASLAW clients in the pro-bono office taking on a total of 6 pro-bono SASLAW matters. 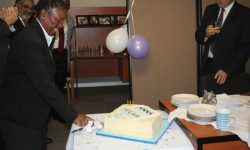 She took on pro-bono slots on the last minute when the rostered attorney was unable to come in and represented clients in court on demand of the Judge on duty (unprepared) whenever it was required of her to do so. 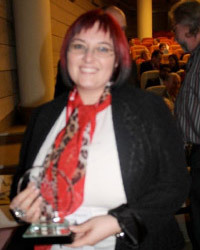 Rize was a runner up for last year’s award and has definitely proven her worth for the winner of the award for 2014. 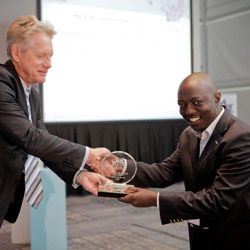 Edwin Nkoana received the award on Rize's behalf. 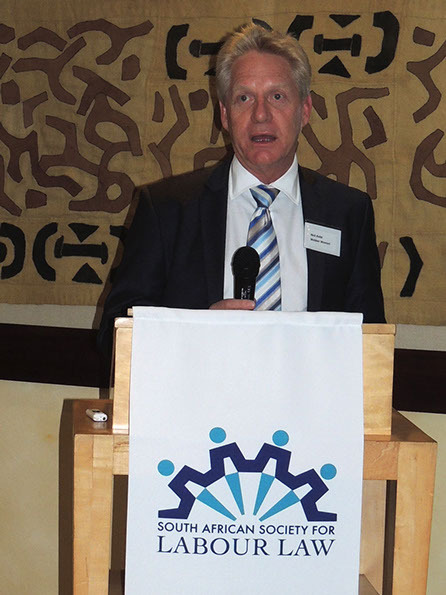 The number of hours that Glen Kirby-Hirst dedicates to probono and the number of cases he takes on and is successful with reflect his dedication to the probono project. 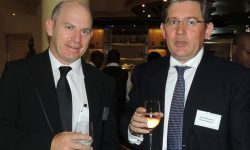 Mention is also due to McGregor Erasmus for enabling Glen to put in these hours for the project over and above dealing with day to day matters. 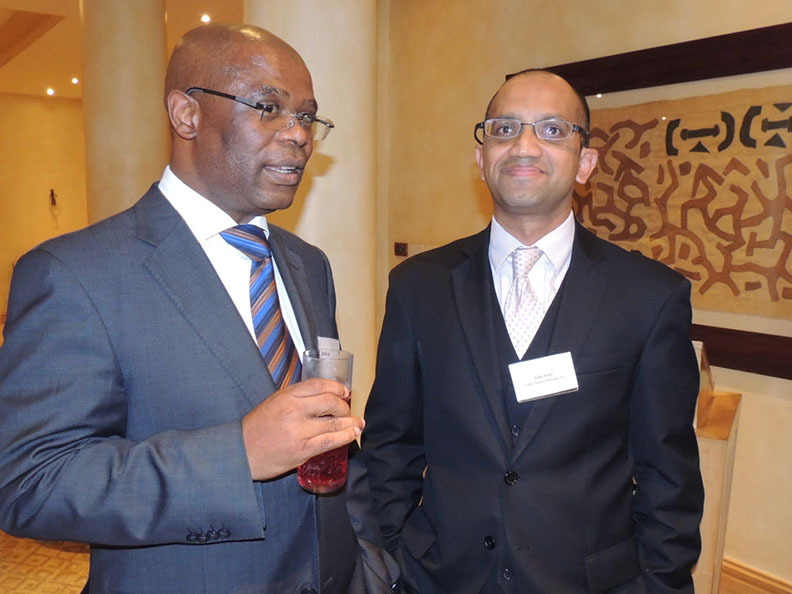 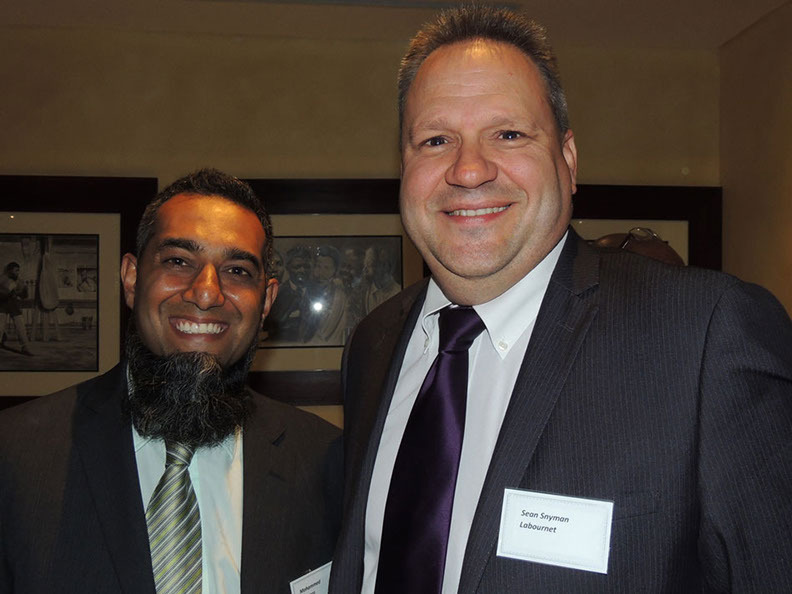 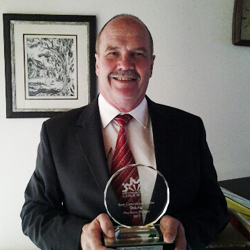 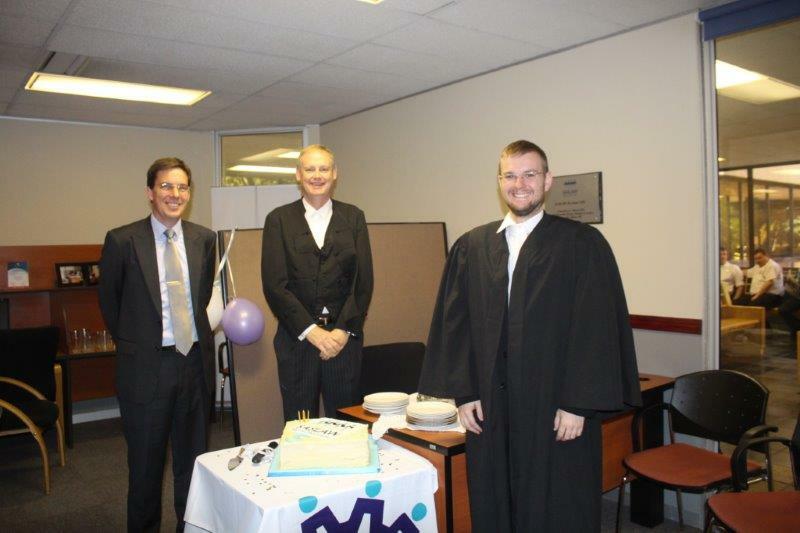 His consistent willingness to assist makes Glen is a most deserving recipient of the 2014 KZN ProBono award. 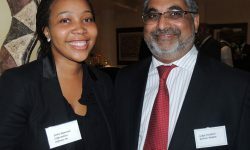 Carmen is our youngest attorney at the pro bono office and has spent the most hours this year in the advice office. 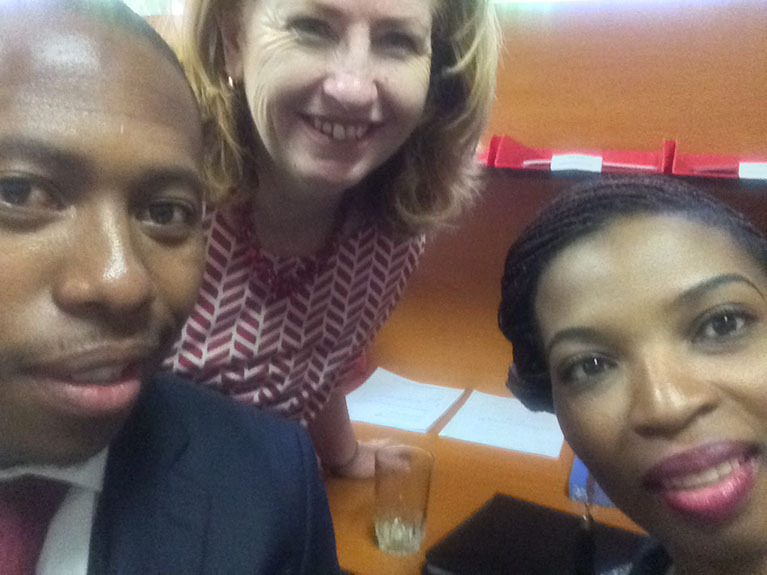 She is always willing to stand in if another attorney can’t make it and goes the extra mile to assist clients despite her workload at Minnaar Niehaus Attorneys. 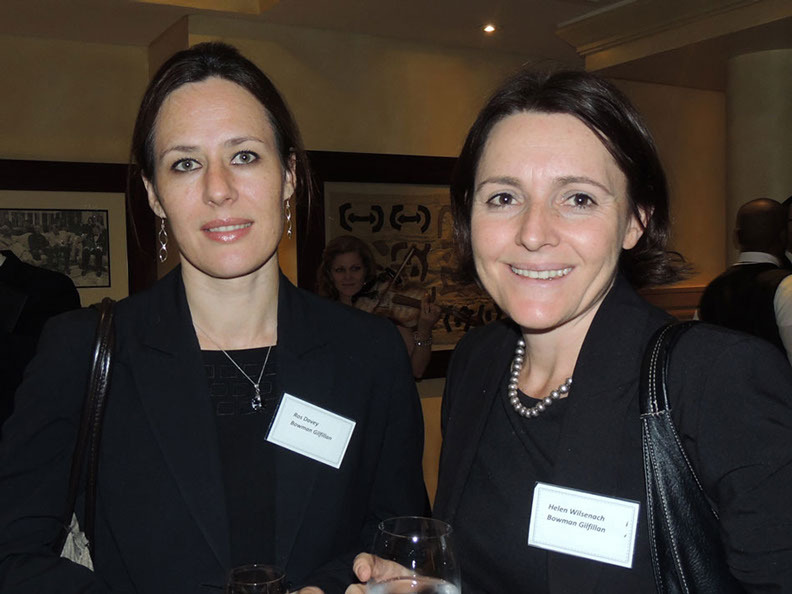 We also want to thank Minnaar Niehaus who gives up a lot of his firm hours so Carmen can assist clients at pro bono. 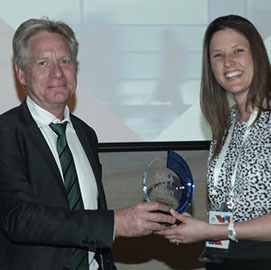 She really deserves this award. 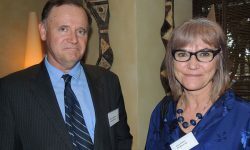 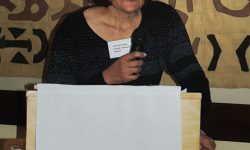 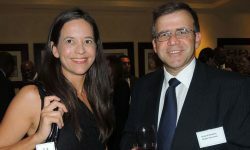 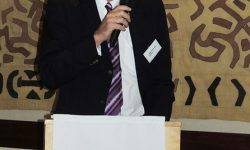 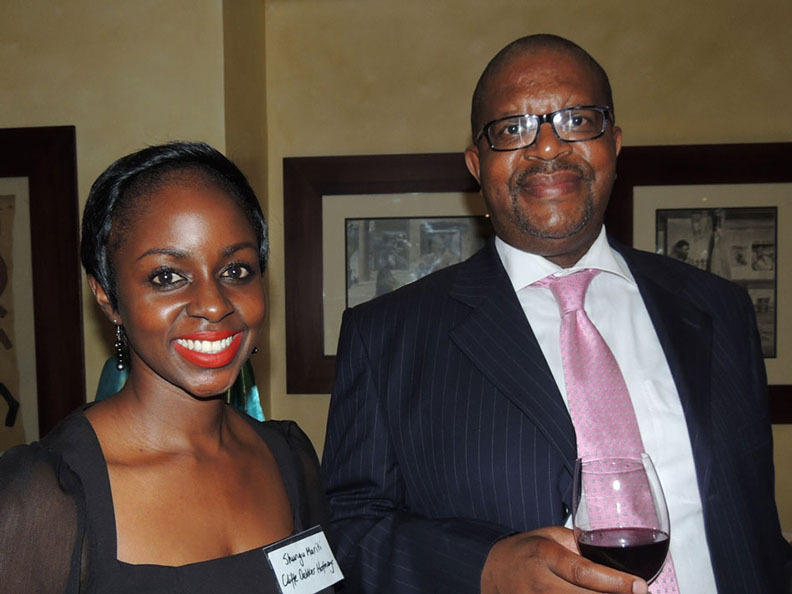 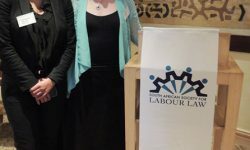 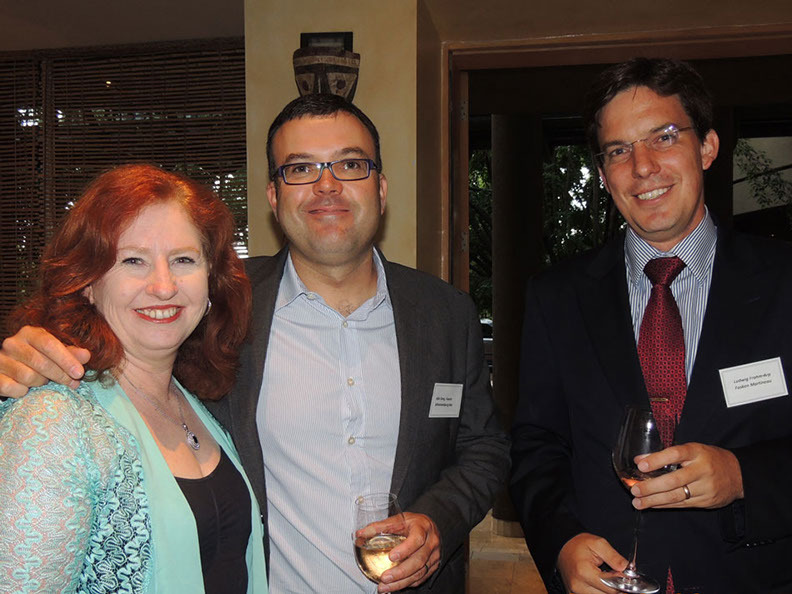 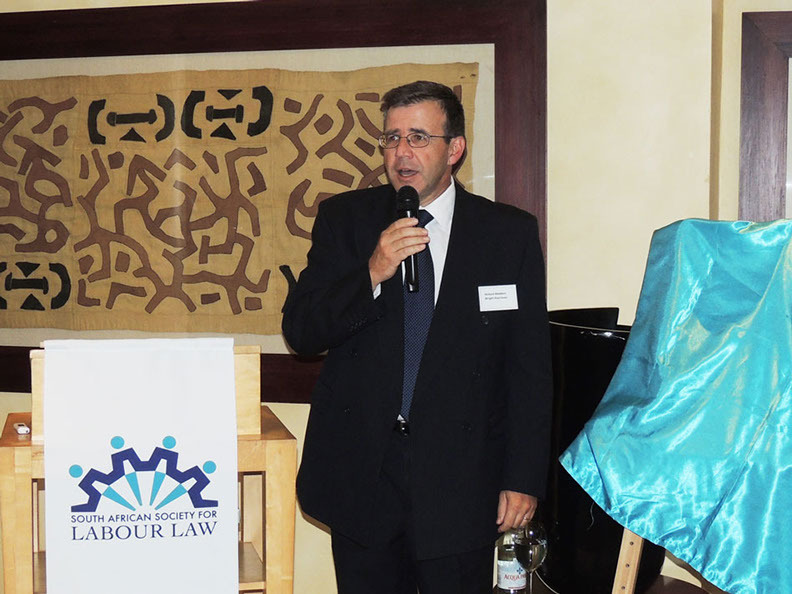 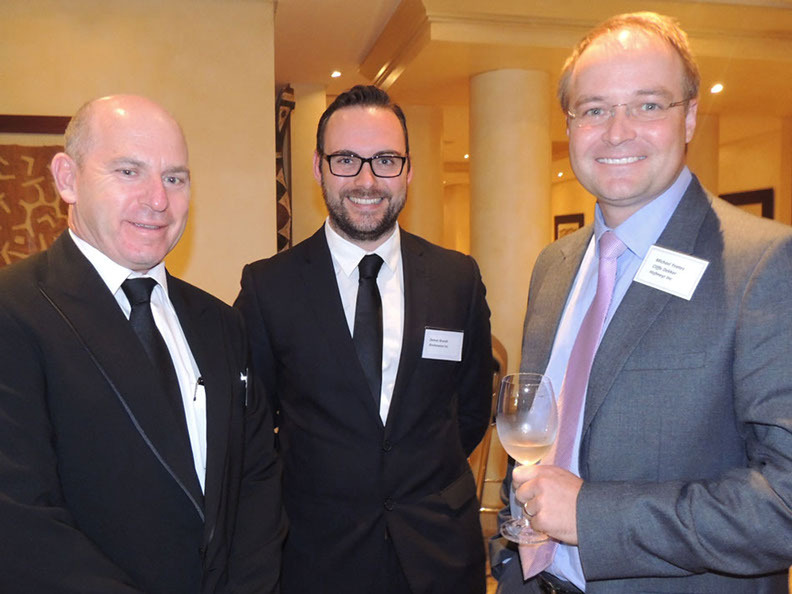 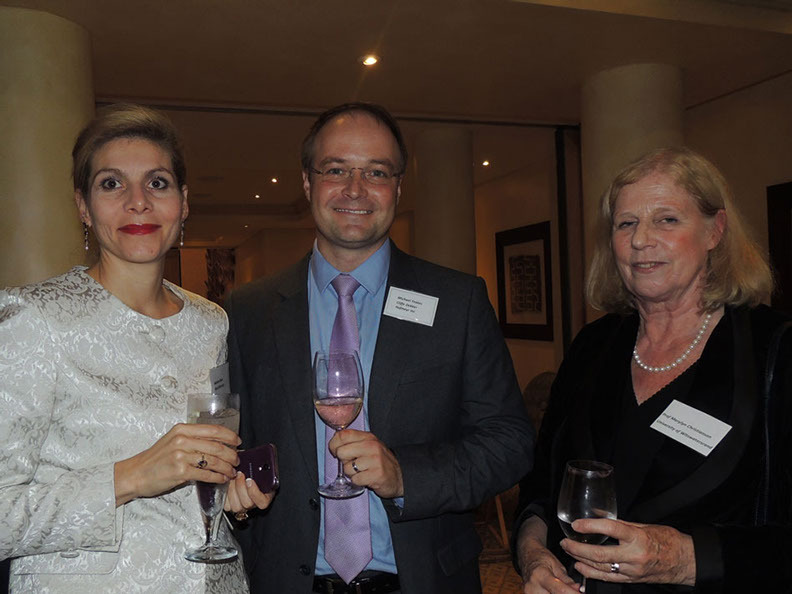 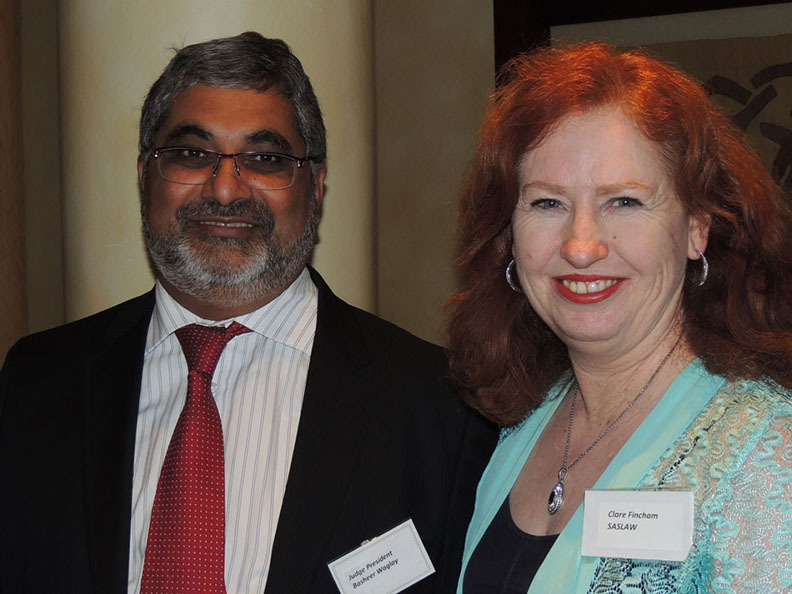 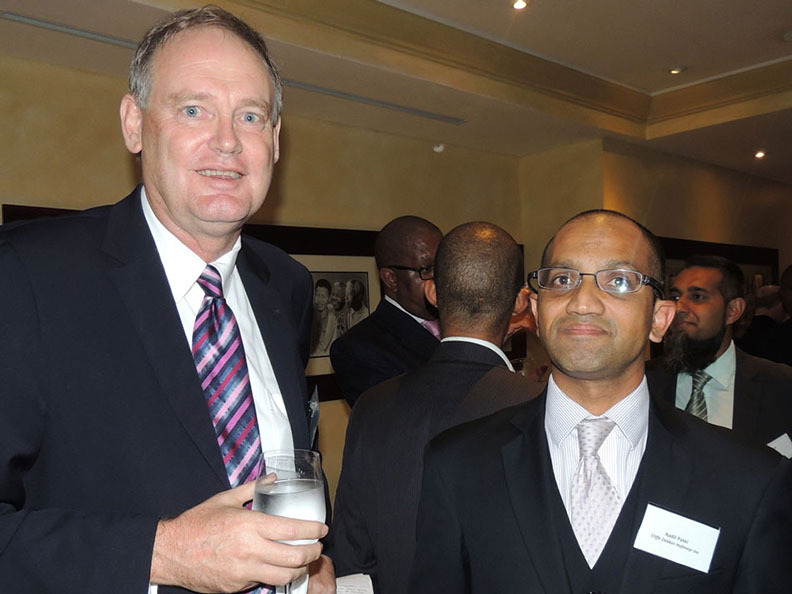 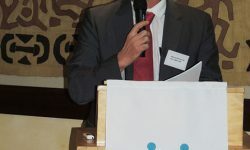 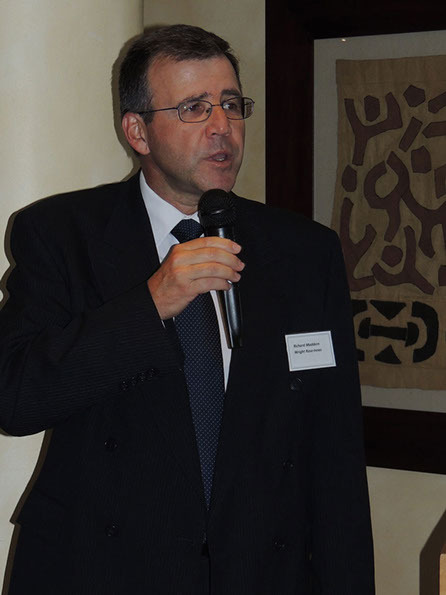 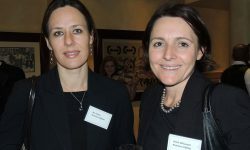 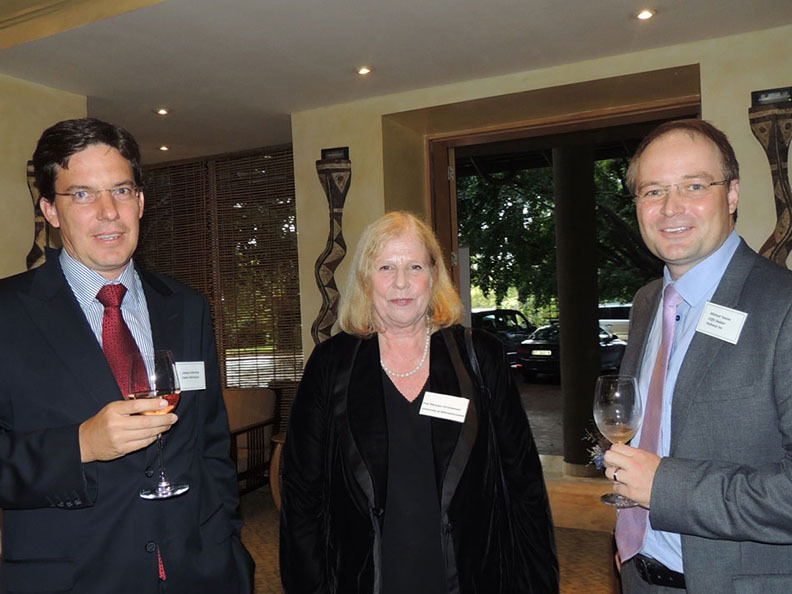 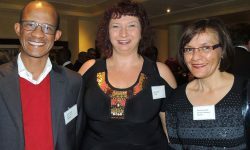 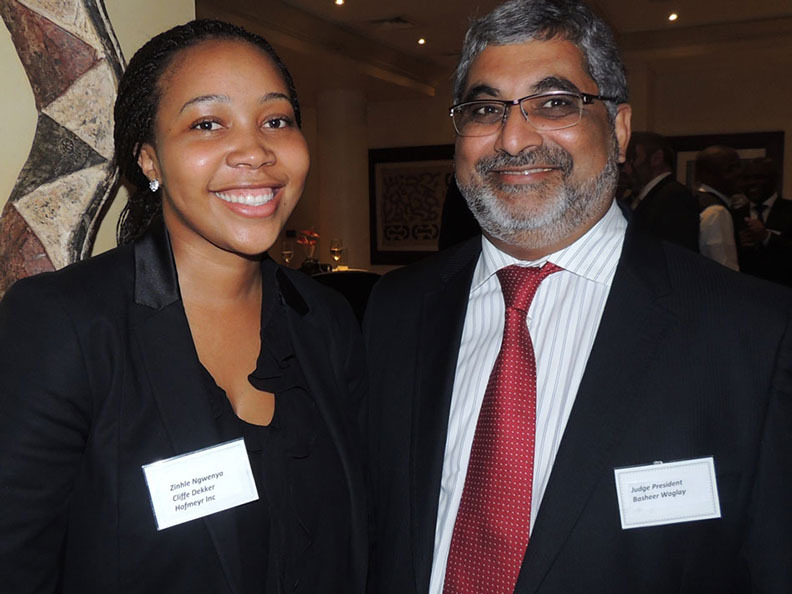 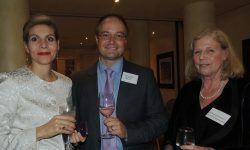 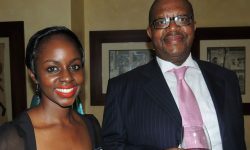 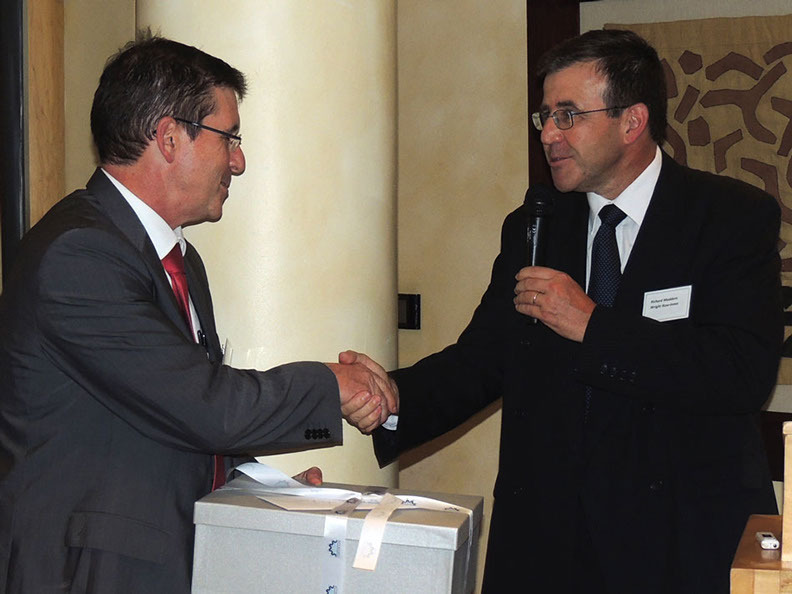 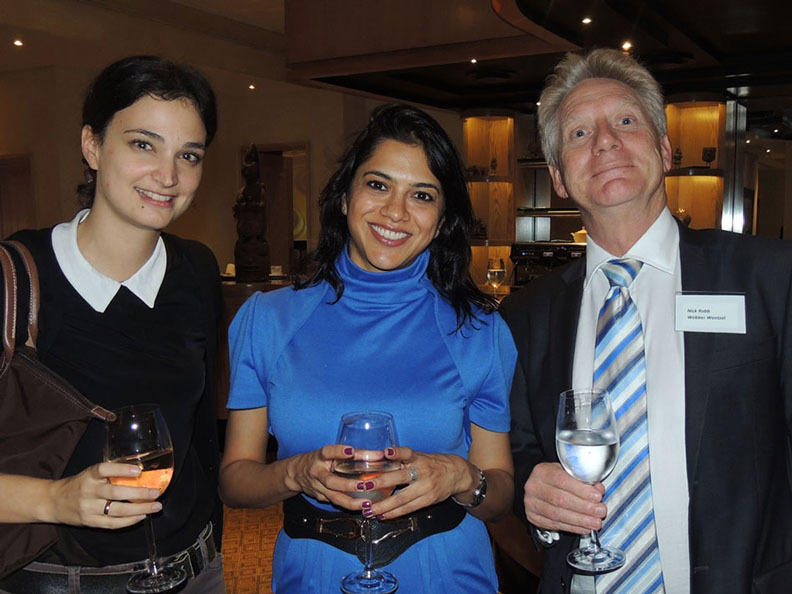 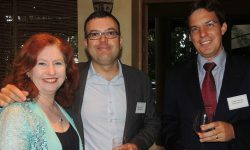 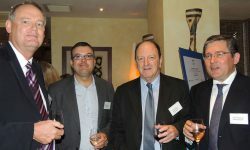 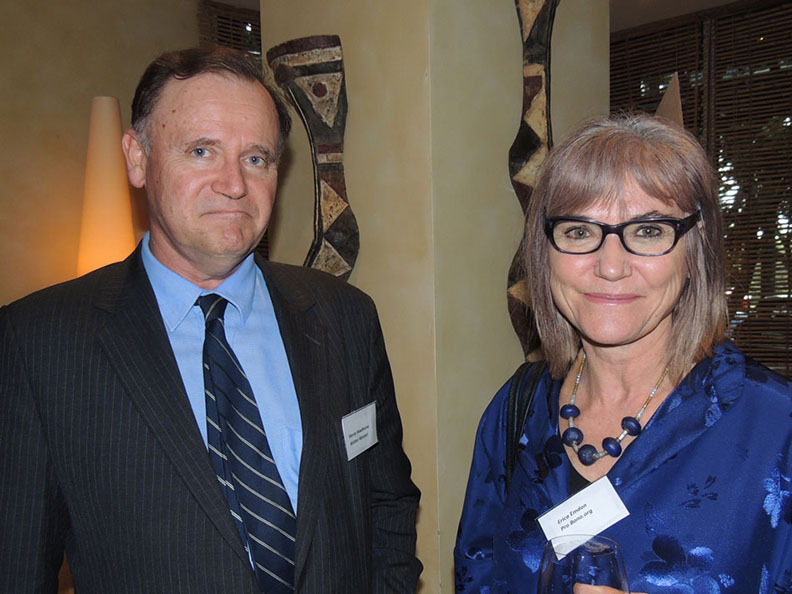 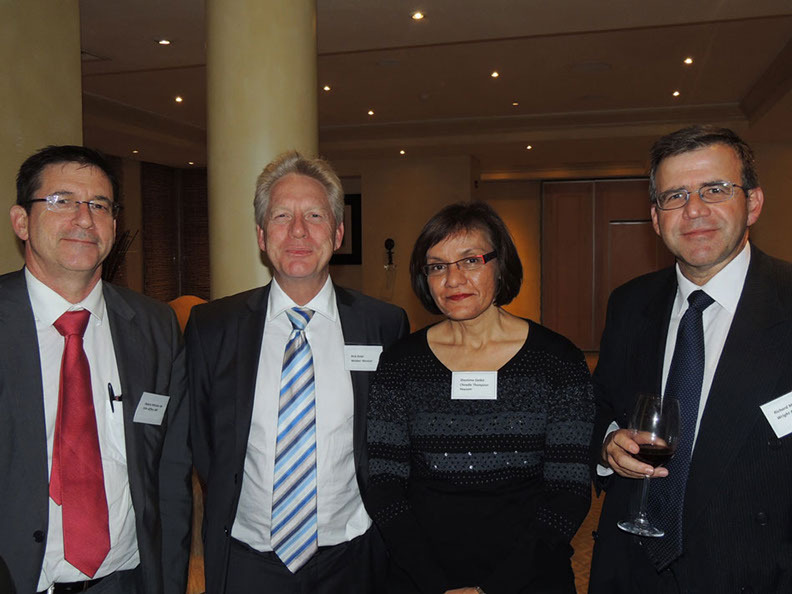 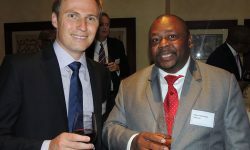 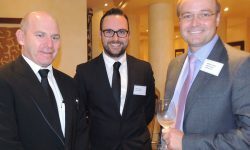 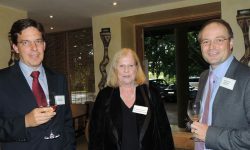 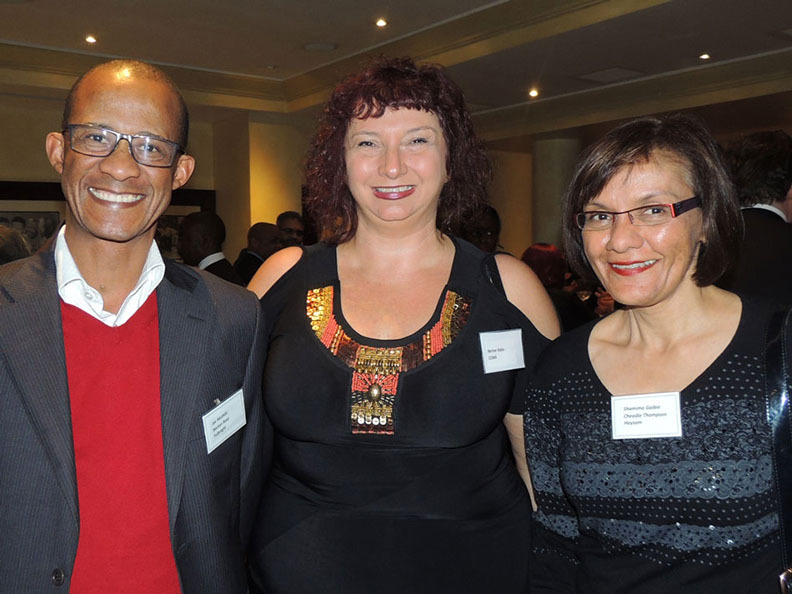 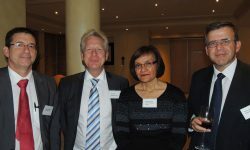 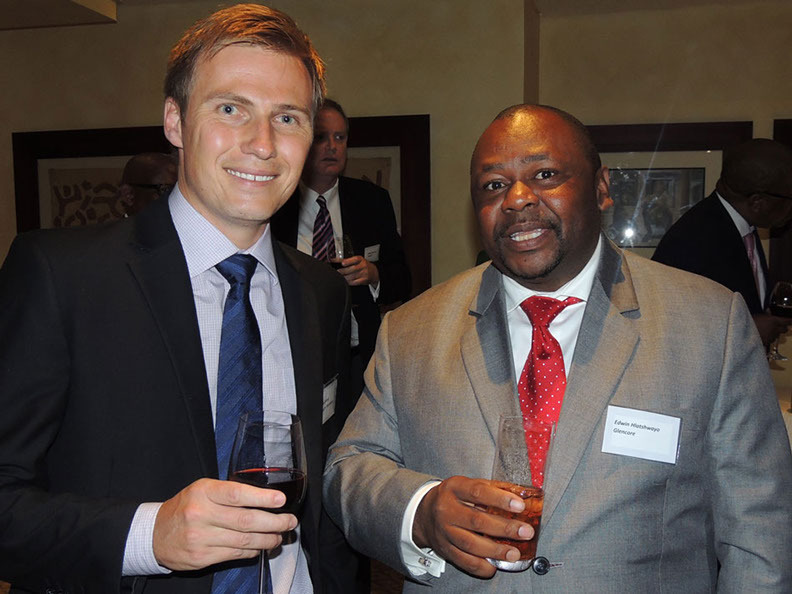 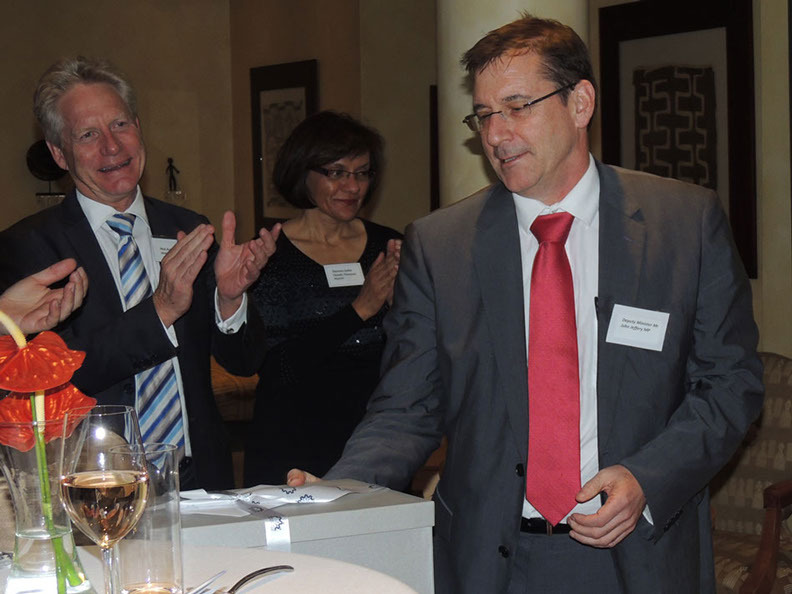 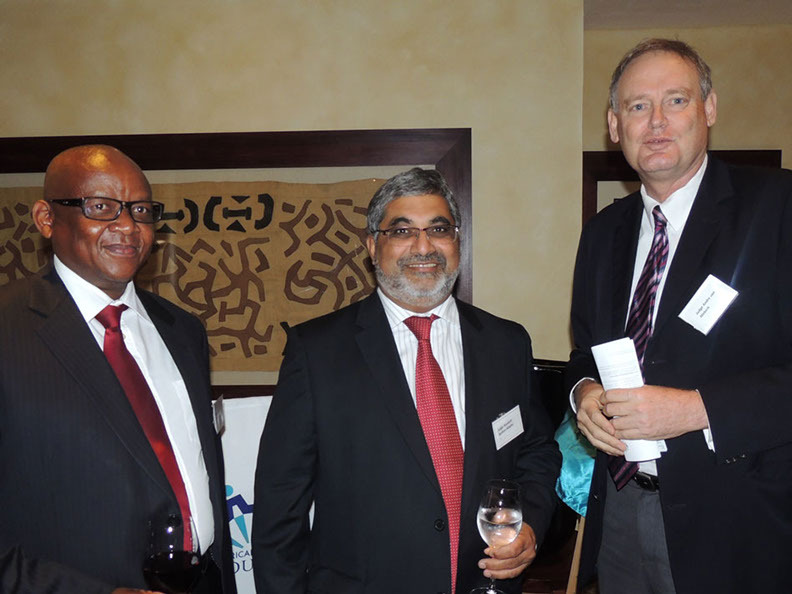 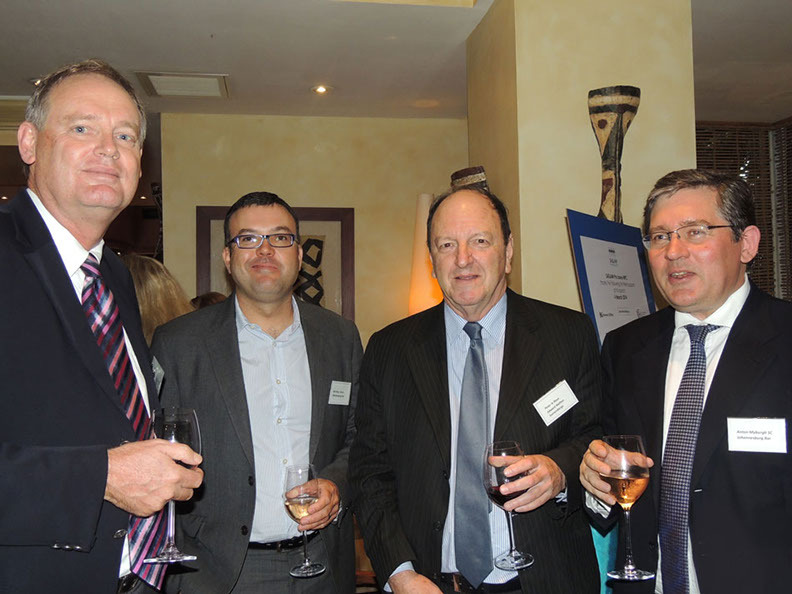 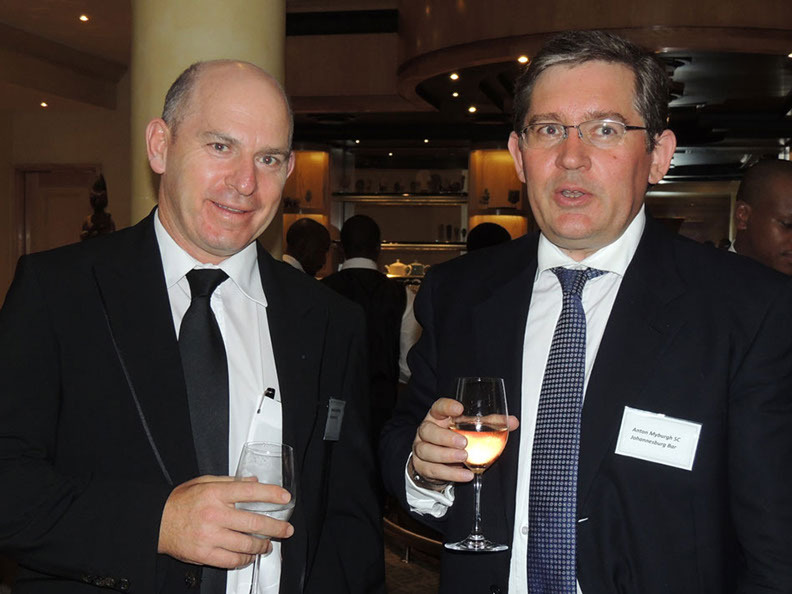 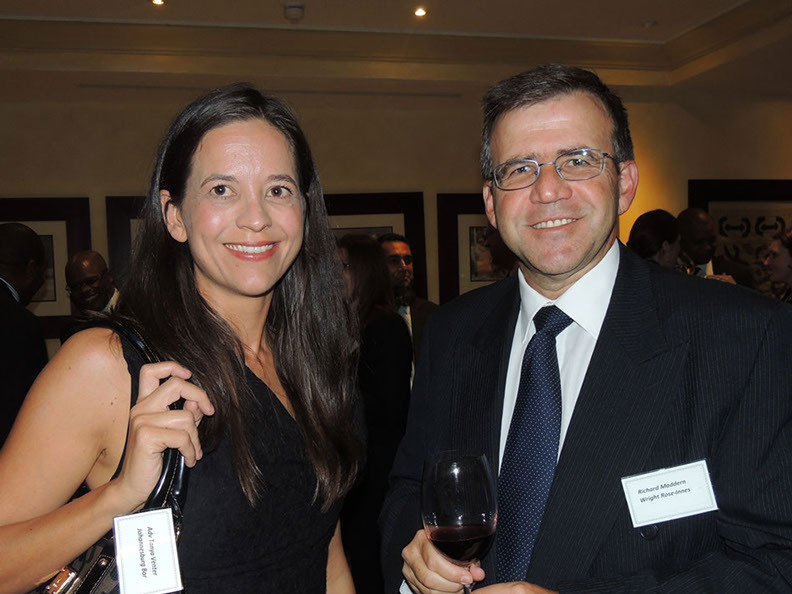 South African Society for Labour Law (SASLAW) hosted a cocktail party on 4 March 2014 at Saxon Boutique Hotel in Sandton. 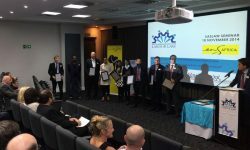 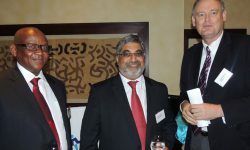 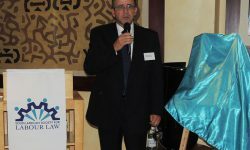 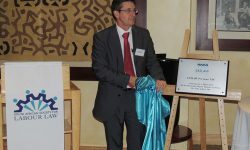 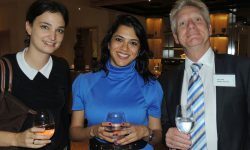 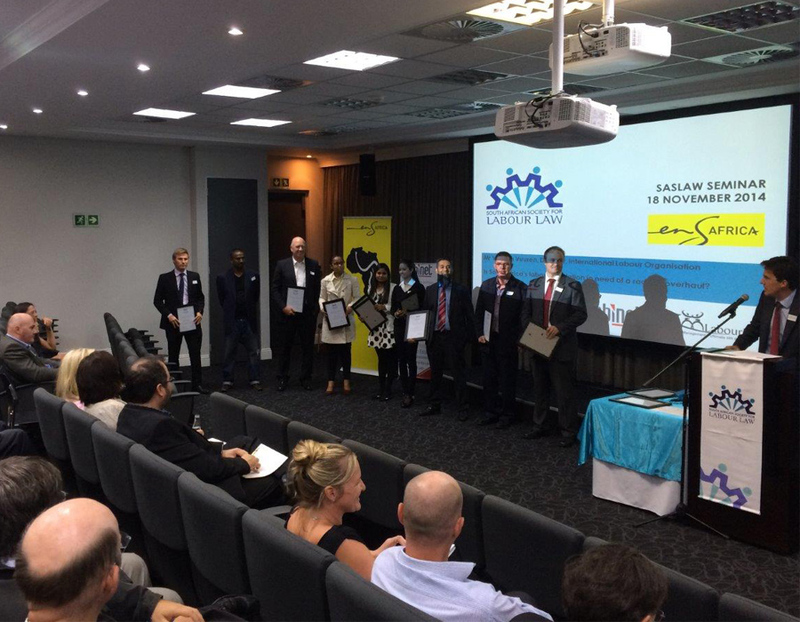 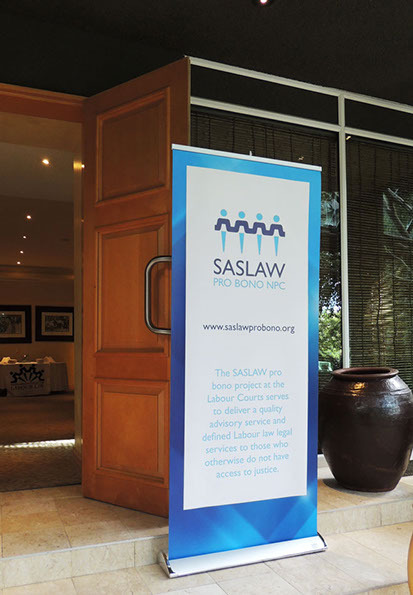 The prestigious function was to celebrate the launch of the SASLAW Pro Bono Non-Profit Company Project 2014 and raise funds for the project’s activities for the year. 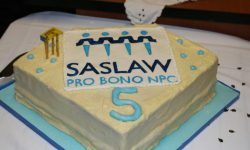 The SASLAW Pro Bono NPC Project has assisted 7888 clients at no cost and 926 of matters were taken on by its 227 attorneys in a period of 3 years. 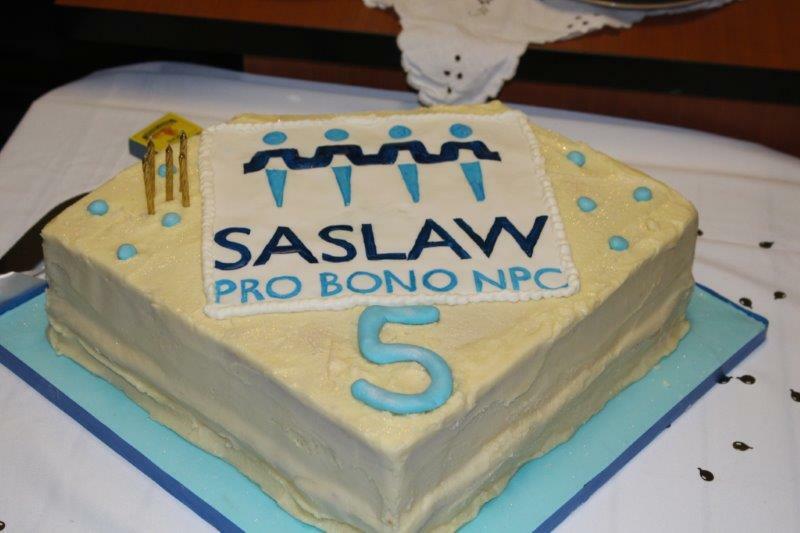 One of the Directors of SASLAW Ms Shamima Gaibe expressed that the project has been thriving since its inception in February 2011 through donations and the commitment of its members who provide legal assistance in courts countrywide at no charge. 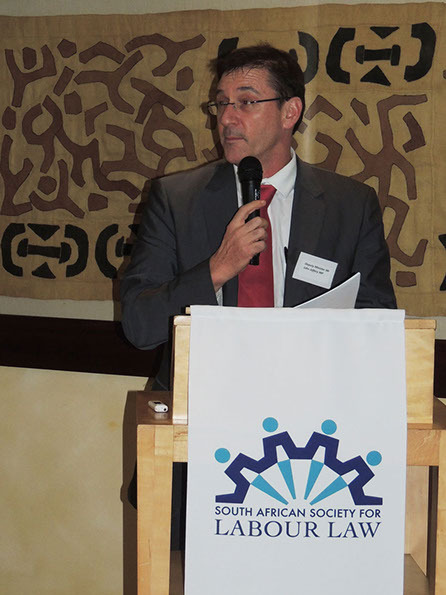 Judge President Waglay of the Johannesburg Labour Court said that the shortage of judges, court rooms and legal representation not only leads to the delays of matters being finalised it also denies citizens access to justice which is one of their most basic rights. 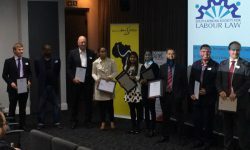 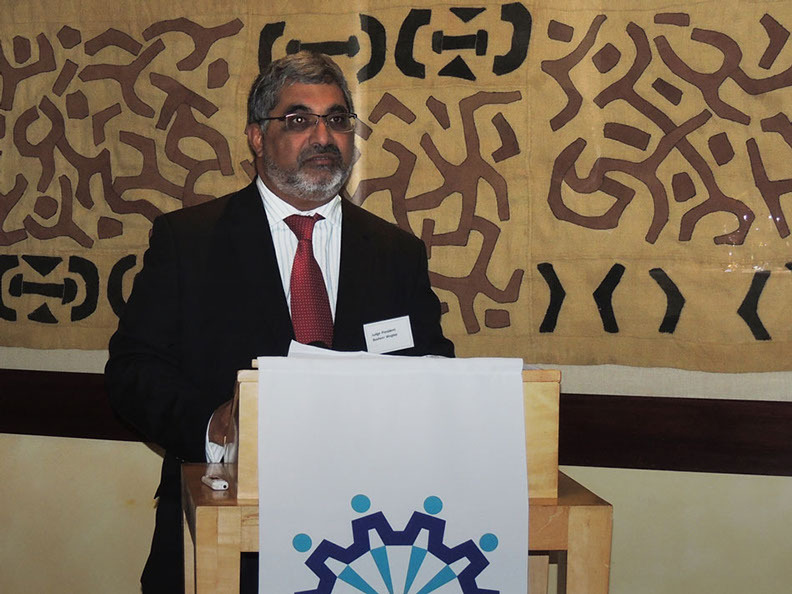 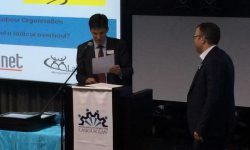 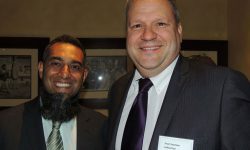 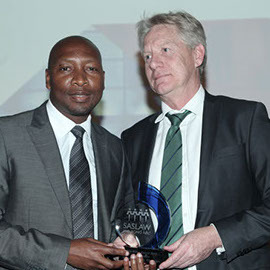 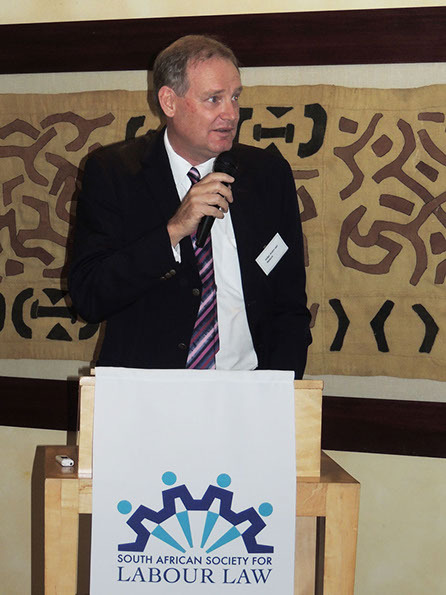 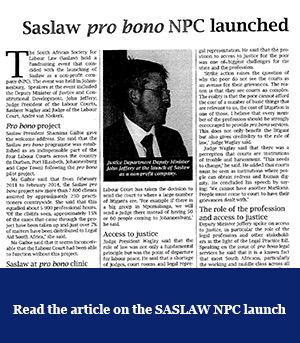 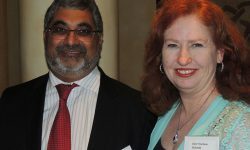 He urged legal practitioners and law firms to affiliate with the SASLAW Pro Bono NPC Project by sacrificing one week a year to act in the Labour Court to deal with the increasing number of matters and raising funds that are much needed to keep the project running. 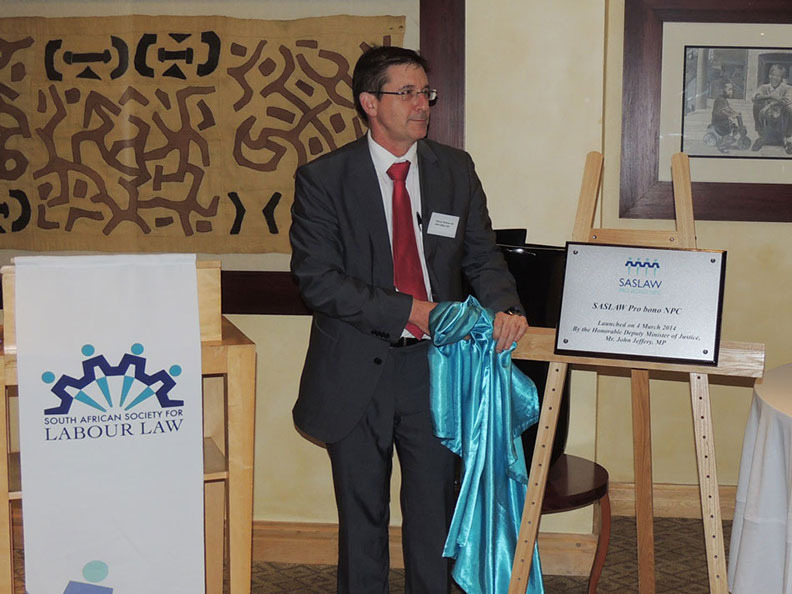 Department of Justice and Constitutional Development Deputy Minister Mr John Jeffery delivered a speech on access to justice and the role of stakeholders in the light of the Legal Practice Bill. 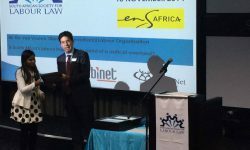 He said that although the Legal Practice Bill is one aspect of improving access to justice from the DOJ&CD’s side and its main intention is for lawyers to impart their skills and knowledge on citizens who have no background of legal processes and find it complicated. 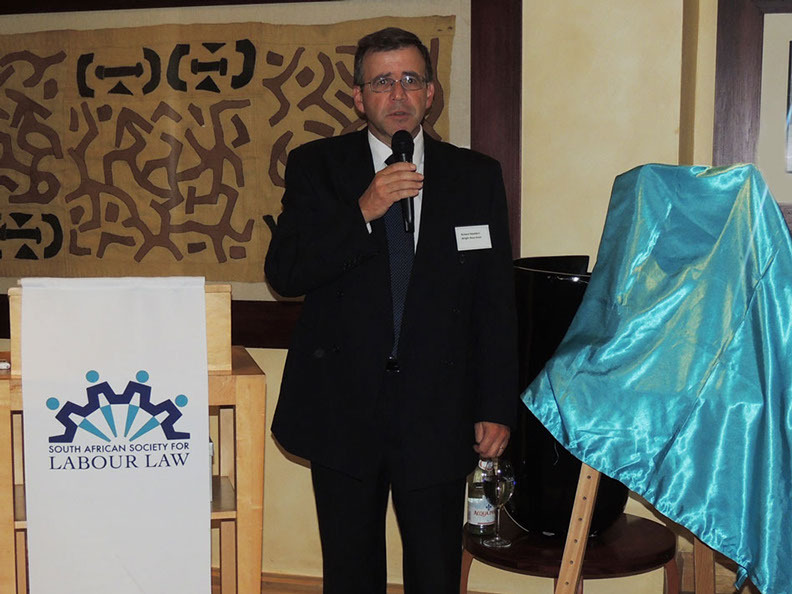 “The demand of Pro Bono services is ever increasing. If we have more legal practitioners rendering such services, it will make a significant contribution to the improvement of access to justice.” The Deputy Minister of DOJ&CD concluded. 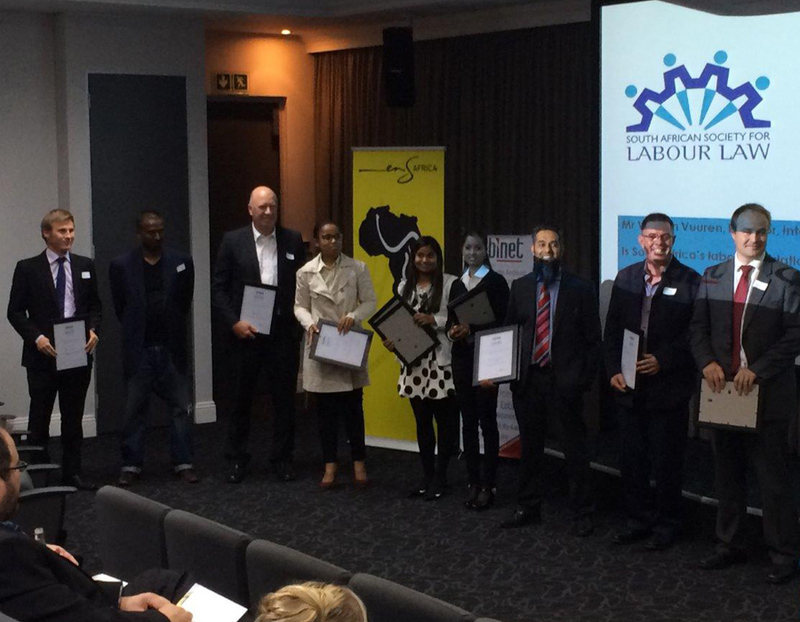 The Eastern Cape committee members agree that the pro bono award should go to the person with the most pro bono hours. 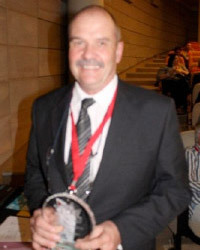 The criteria was set last year, therefore Theo Potgieter is the deserved winner again for 2013. 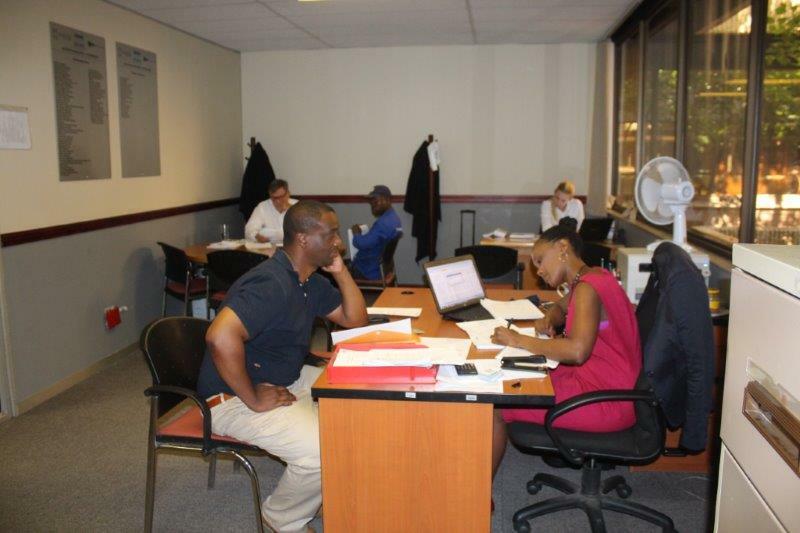 Sandile has taken on the most cases this year in the advice office, sends us a report after every case he has taken, and often pops in for an hour or two to help when he is in court. 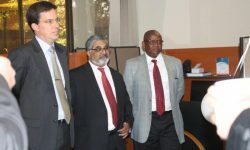 He has come down to the Labour court on a number of occasions when attorneys have not arrived. 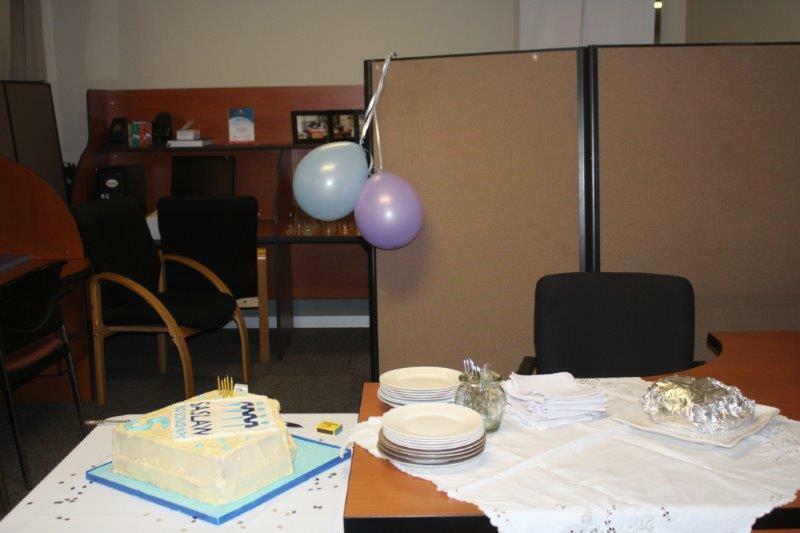 He runs his own firm and his resources are limited and we feel that Sandile is a deserved winner for the Johannesburg office in 2013. 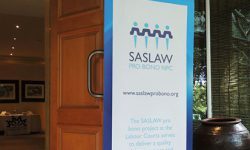 Alex has been the principal driver of the SASLAW pro bono project in Durban since its inception as a pilot project in the Durban Labour Court even before the advice office was formally set up. 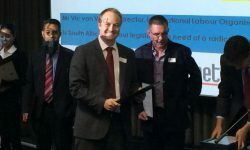 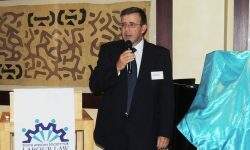 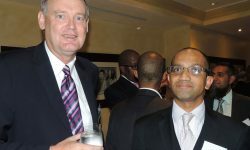 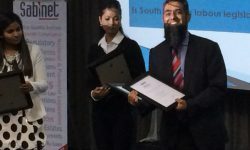 He took much of the organizational responsibility upon himself, meeting with judges, the court staff, the KZN Law Society, ProBono.org and others on a regular basis, devising the initial forms and processes and generally ensuring that the project was able to get off the ground in Durban. 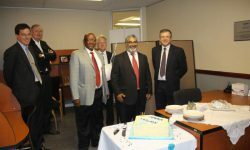 Since the establishment of the advice office, his commitment to and enthusiasm for the project has continued to be impressive and well beyond the call of duty. 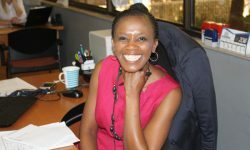 "Morning to the Moni Attorneys,it is with my sincere gratefulness that I write this mail to thank you for all your work in helping me in my case with my employer who just decide to send me off work without reason and make me suffer with my family for not even paying me what was due for the whole fifteen months after CCMA ruling against them. 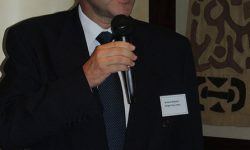 Your energy,intelligence,Passion,respect,eager to help the helpless. 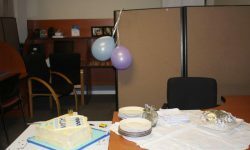 There is no better way to explain how i feel about you honourable Moni and your office for your help,please allow me to just say,THANK YOU very much and till death do us apart. 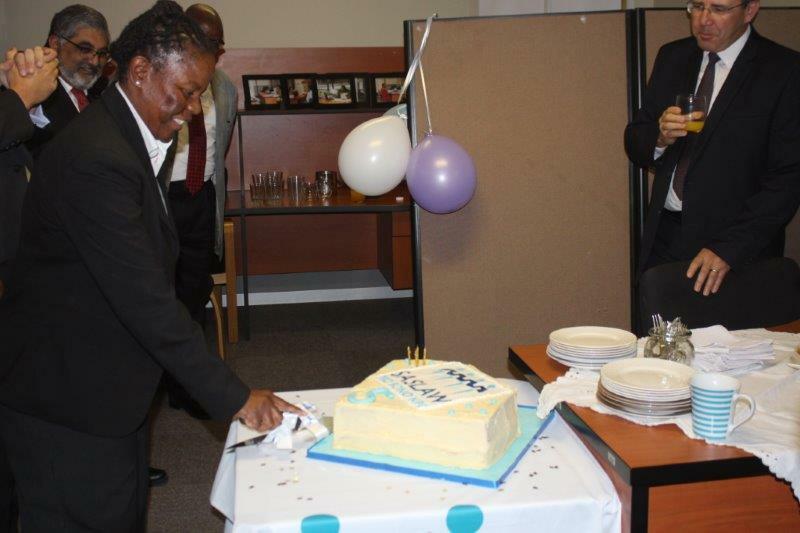 Lots of joy "
Sonette has spent the most hours in the advice office, on an individual basis. 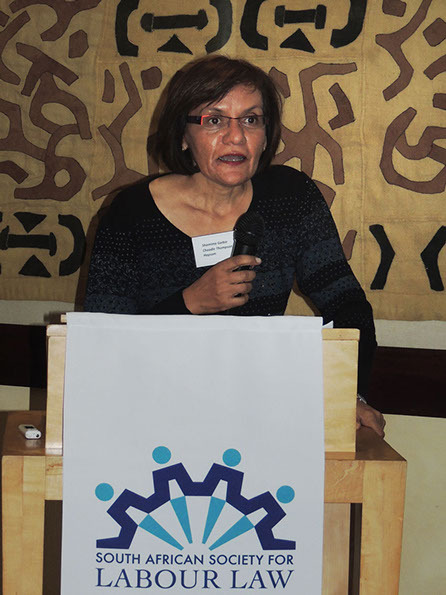 She was an influencer in the decision to contribute to the funding appeal. 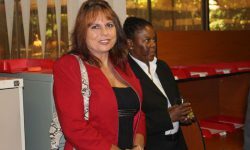 Sonette can be called on to assist in court outside of the office hours. 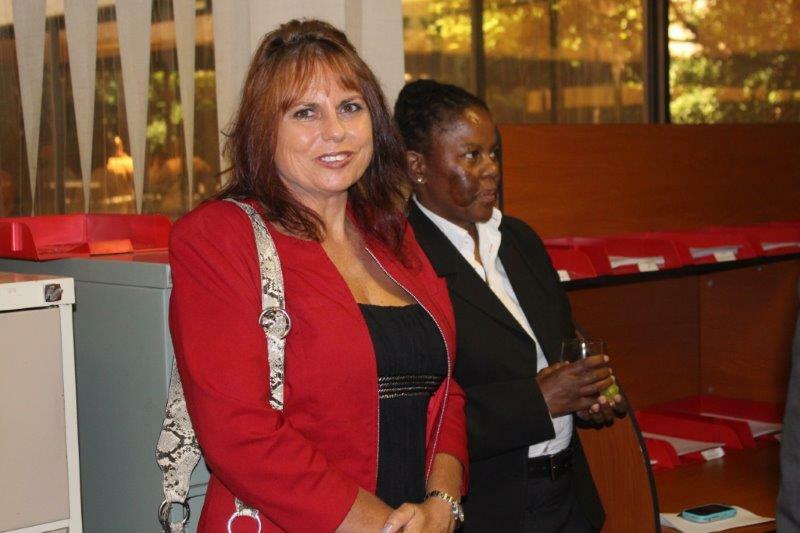 She always assists in the office if she is in court, just for an hour, when not rostered. 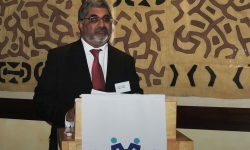 Ebrahiem is passionate about doing probono work. 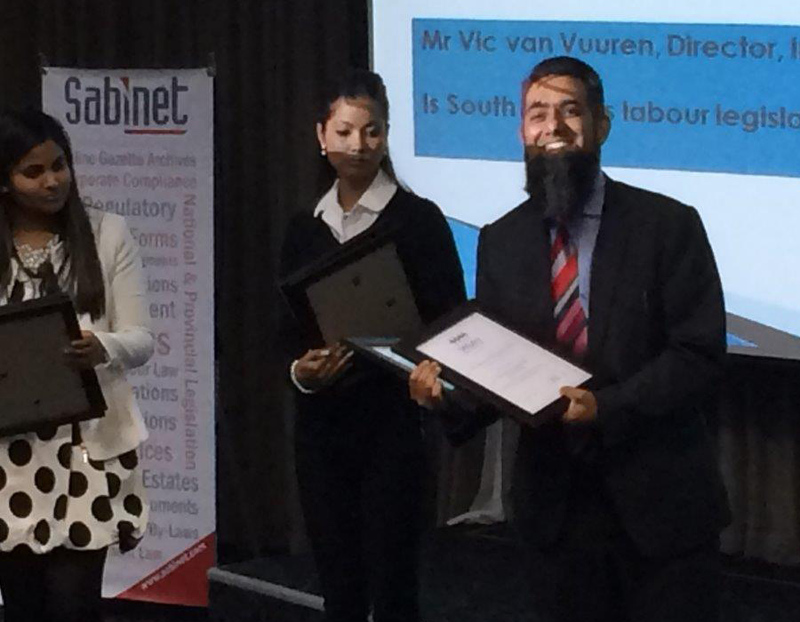 He has contributed significantly to the project, as he has the highest number of hours clocked up in the Cape Town office. 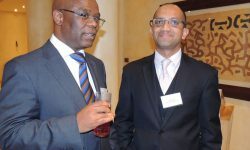 He has also taken on the most matters. 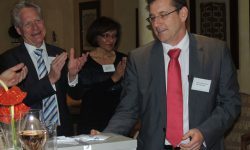 Since October 2010 Richard Haslop has dedicatedly, and without fail, arrived for his scheduled days on the pro bono roster; and when he is in the office, has had an enormous impact on the resolution or finalization of matters allocated to him. 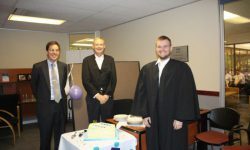 Richard treats his pro bono duties with the dignity and seriousness the pro bono programme strives to achieve. 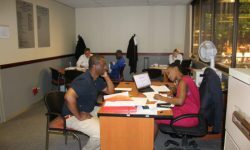 Theo has singlehandedly started the pro bono project in Port Elizabeth. 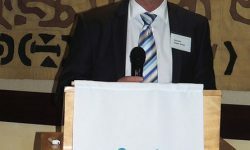 He has put in the most hours, and undertook all the administrative tasks at the onset of the project , before a permanent administrator was appointed. 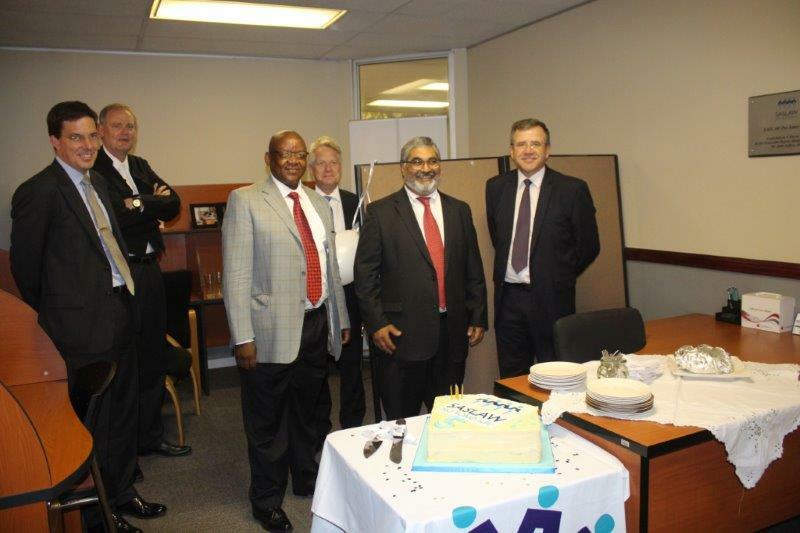 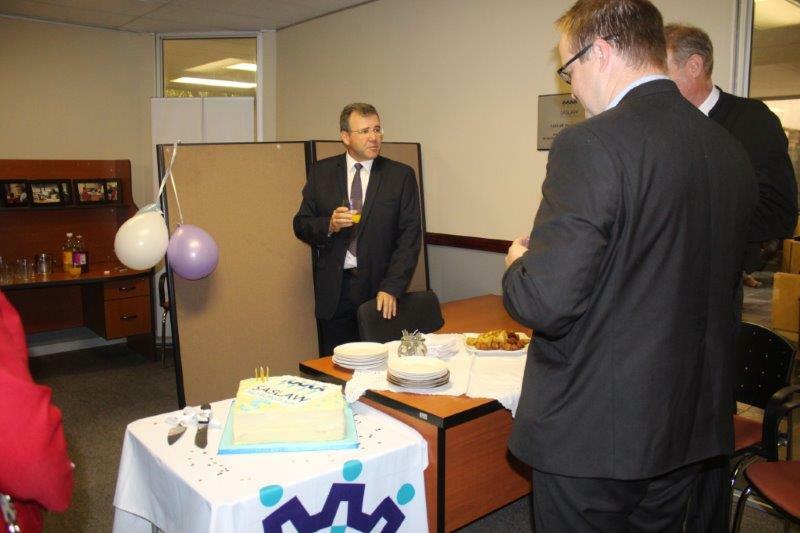 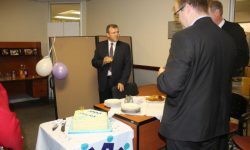 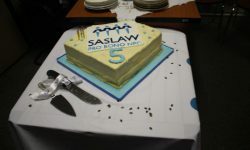 The 4th of February was a very special occasion for us at SASLAW as we celebrated our 5th anniversary together!